Gerald Finzi is one of the best-known modern English composers. While he is especially famous as a song-writer, for his sensitive settings of poets such as Hardy and Wordsworth, he also wrote in other genres; notable works include the exquisite cantata Dies Natalis, and his cello concerto. He also exerted a major influence in the musical world as a whole, championing the neglected Ivor Gurney and reviving eighteenth-century composers with the amateur orchestra he founded. 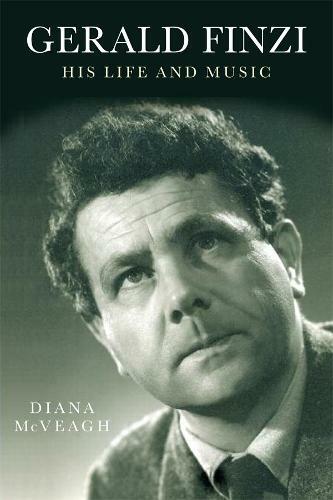 In this lively and sensitive study of his life and works, Diana McVeagh, the renowned Elgar and Finzi scholar, has made use of interviews with the main figures in his life, correspondence with contemporaries such as Vaughan Williams, Edmund Blunden, Arthur Bliss, Edmund Rubbra, Howard Ferguson and Herbert Howells, and her access to previously unpublished material in the form of his widow, Joy's, unpublished journal. The Finzi that emerges is a multi-faceted and complex character. The author shows how he developed from a solitary, introverted youth into a man with strong views and a myriad of interests: everything from education, pacifism, vegetarianism, to the Arts and Crafts movement, the English pastoral tradition, English apple varieties, and the significance of ancestry, friendship and marriage in an artist's life. She also discusses every work within the narrative of Finzi's life, and shows what makes his output so outstanding. Diana McVeagh is the author of the highly acclaimed Elgar the Music Maker ; of the entries on Elgar and Finzi for The New Grove Dictionary of Music and Musicians [1980, 2001]; and of the Finzi entry in The Oxford Dictionary of National Biography .